It finally snowed last night! My toddler couldn’t wait to go outside this morning to build a snowman. After we built our snowman and warmed up with a cup of hot chocolate, my son wanted to make another snowman. It was way too cold to go back outside, so we stayed inside and created a Puffy Paint Snowman. One of our favorite art supplies to use when we are creating our crafts for kids is our homemade puffy paint. It is so easy to make and my children love to paint with it. 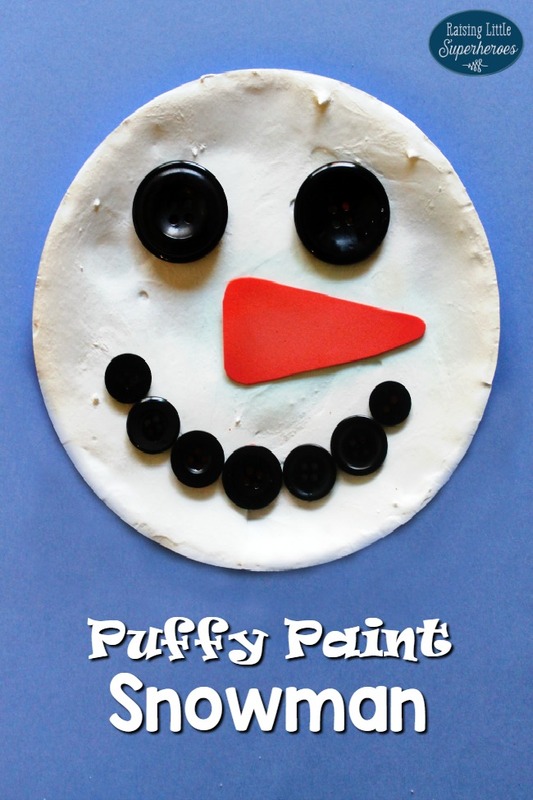 Paint the small paper plate with the white puffy paint. To make your own puffy paint, mix 2 tablespoons of shaving cream and 2 tablespoons of white glue. After the paint dries, glue on two large black buttons for the snowman’s eyes and several small black buttons for the mouth. You can also use black pom poms or beads instead of the buttons. Cut a triangle out of the orange craft foam and glue it on the center of the paper plate for the snowman’s nose. If your child is just learning how to use scissors, he or she may need hand-over-hand help because the craft foam can be difficult for little ones to cut. This Puffy Paint Snowman craft is an easy and fun way to celebrate the first snowfall of the year especially when it is too cold to go outside… again! 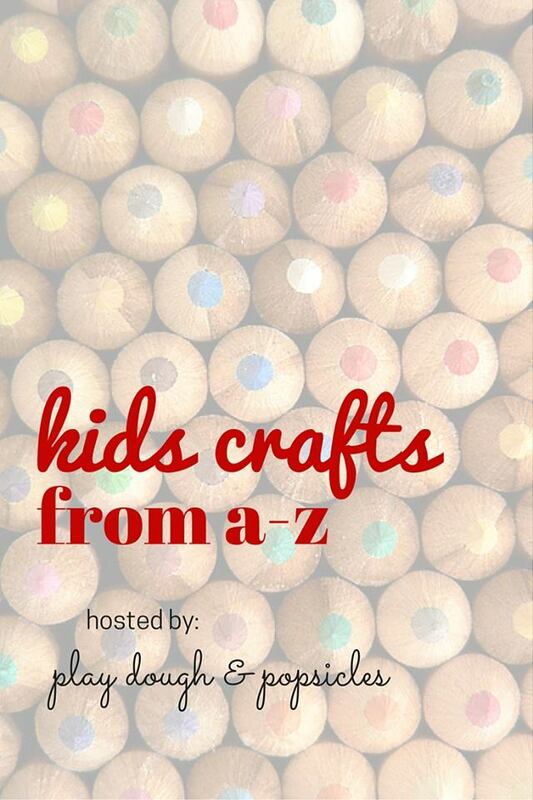 Check out all of the Kids Crafts from A to Z! My kids love homemade puffy paint. We’ve made it in the past and they played with it for a long time. We’ll have to try making a snowman out of it next time 🙂 Thanks for sharing!